If you’re a small business, keeping up with the demand for apps can be daunting. The solution is a platform where everyone in the company — not just IT — can build apps fast so you can focus on leading the company forward. The solution is Salesforce Platform. We’d love to spend 30 minutes with you and your team to show you how Salesforce can help you quickly build more engaging experiences for your customers — and give everyone in your company a single view of the customer so you can always meet their needs. RSVP now for your free Business Assessment. 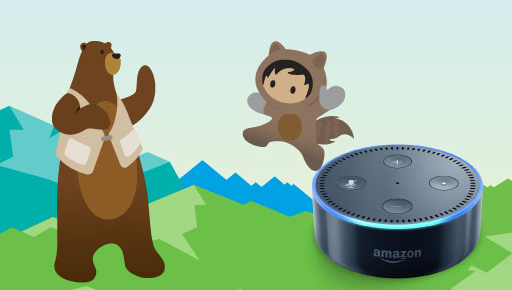 In just a few minutes, you’ll see how Salesforce can help you build apps 5x faster — and you’ll also receive an Amazon Echo Dot for your time. Just fill out this form and put your preferred availability in the comments box on the right. We’ll reach out to you shortly to arrange a time that’s convenient for you. Yes! Please contact me to schedule a complimentary Business Assessment.